Today we have a returning question and three new questions. Can you help these readers? If you have a suggestion for any of them, please leave a comment below. All of a sudden, I have wild leeks growing throughout my gardens. Last year they were in one section, now they are everywhere. I have to dig down up to 8 inches to get the bulbs but they still come back. How do I get rid of them? Note from the publisher: We posted this question before and got no responses. Does anyone out there have experience with wild leeks or with anything similar? What would you suggest? Please help Mary! Why do my peony bushes have lots of ants on them and how do I get rid of them? I planted the bush in memory of my mother 10 years ago. I want to cut some but there are too many ants. HELP. Note from the publisher: Ants seem attracted to the flowers on peony bushes; I’m not sure why. I don’t know if there is any way to keep ants off your peonies. But it sounds like what you really want to know is how you can bring the flowers inside without bringing in a bunch of ants, too. Here are a couple things I’ve tried. Cut the flowers, then stick them, blossom first, into a bucket of water. Another thing is rinsing the blossoms in the sink. Those methods should get rid of most of the ants, but you may look at the flowers in your vase later and still find a couple of stragglers. Readers, can you help? 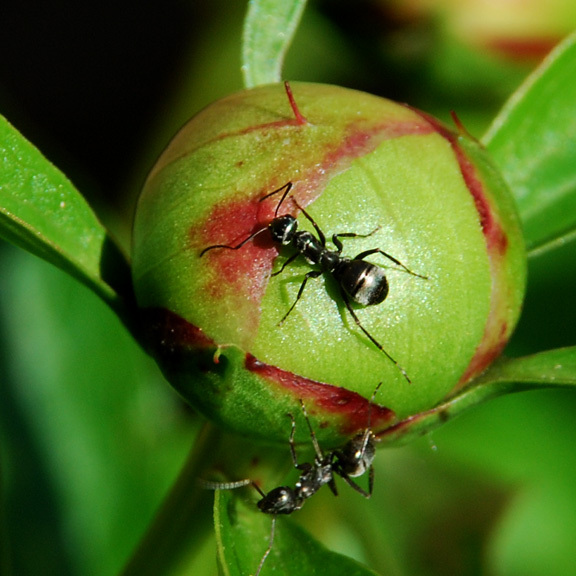 Why are ants attracted to peonies? Can you keeps ants off peonies? What methods do you use to get flowers into the house without bringing the ants along? Thank you for all your info. I have a question. I have been getting a white, sticky substance on my house plants. What is it? and how can I get rid of it? I have two quite lovely healthy looking schefflera plants, each about 5-6 years old. Have noticed over the past two year much sticky dripping from these pretty plants. Drips onto other surround plants, etc. I have sprayed them on a regular basis with a Dawn,vinegar and water mixture. Not much help with the stickiness but the plants all remain healthy looking. Can I continue to ignore or is it something horrible that will destroy my lake room jungle? HELP!! Sounds like you have a problem with scale or aphids attacking your schefflera causing the sticky substance. Giving your plant a regular shower will help prevent insects from making your plant their home. Make sure the underside of the leaves are showered since that can be a favorite home for insects to hide. Now that the insects have found your plant, you need to get aggressive with kicking them out. If the weather remains warm, move your plant outdoors to a shady protected location. Give your plant a weekly shower first with water, then use either insecticidal soap or a homemade version of six tablespoons of rubbing alcohol, a few drops of dish detergent, added to a gallon of water. Spray the leaves once a week making sure to include the undersides of the leaves and soil. This should be done for a few weeks or until they are gone. After it looks like things are improving, you may want to change the soil before bringing the plant back into the house. Readers, what advice would you give Fran? Can you recommend a fast spreading, easy to grow, low ground cover? Looking for something that preferably has a little color at times. Area gets good sun until about 4 or 5 p.m. To cover a large area. Note from the publisher: This question was posted on Buffalo-NiagaraGardening.com’s Facebook page. I shared my own ideas and advice from Heimiller’s and Mischler’s. Readers, what ground cover would you recommend for Kristeen? 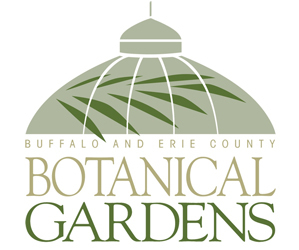 When you have gardening questions, you can call the Master Gardeners with Cornell Cooperative Extension Erie County at (716) 652-5400. These knowledgeable volunteers are available from 9 a.m. to noon weekdays. You can also email them at mgeriecce@gmail.com. There are helpful Cornell Cooperative Extension offices in other counties, too. Find contact information here for your county’s Cooperative Extension office. You can also stop at a garden center to get great information. Check out our advertisers, click on their ad and you’ll be taken to their website or Facebook page to get their hours, address and other important information. Turning to Cornell Cooperative Extension or your local garden center is probably the fastest route for getting your questions answered. However, if you have a question and you’d like to get a wide range of opinions, email the question to me and I’ll pose it to my readers in an upcoming issue. Creeping jenny is a lovely groundcover with yellow flowers and chartreuse leaves. It spreads quickly and seems to like shade and sun equally. That is a lovely plant. I’ve seen it in container plantings, too. Sweet potato vine grows fast and comes in several colors. It works as a ground cover as well as in containers. In answer to the ant issue on the peony bushs they like the sap that the holds the buds closed. The buds can’t open if you get the ants off too soon unless it’s been a rainy season. This also provides the tasty plant from being eaten by other insects since ants are highly agressive. It has turned into a very benefical relationship between the two organisims. So as much as you want to get rid of the ants you’d only be hurting your bushes. If you did want to bring them in you can water your bushes for about 5 minutes and the ants will retreat long enough for you to cut some blooms. The sedums are a wonderful groundcover, Sedum spurium’Dragon’s Blood’ is good as are some of the yellow flowering ones. Ajuga reptans is another, Candytuft (Iberis sempervirens)with it’s creamy white flowers is evergreen and blooms late April to May. RE: Ants on Peonies: They’re drawn to the sap of the flower. My dear Mom would just bring them into the house and give them a shower in the tub and they’re set to go. White sticky stuff sounds like ‘Mealy Bug’. Try using a cotton swab dipped in alcohol to remove it. Some plants are very susceptible to mealy bug. I hate to recommend it;but a systemic houseplant pesticide may be the only way to combat that short of babysitting the plant every day. Leeks? They are probably not wild leeks. Most likely they are chives. Chives have a purple flower cluster and round onion-like leaves and are quite invasive. Leeks have a long flat leaf and like stream banks. The only way I know to get rid of chives is to keep digging them up. Also don’t let the flowers go to seed as they will grow from the seeds too. They will spread thru the garden when you rototill or turn over the soil. Good luck and keep digging. Carrie, I never thought of sprinkling the peony bush before you cut the flowers. Thanks! Ann, My forget-me-nots are gorgeous this time of year, but after they go to seed they’re, well, ugly. I’m not sure I would recommend them as a ground cover. But they sure do spread fast! Linda, I’ve seen sweet potato vine in containers, but never considered it as a ground cover. Is it a perennial? Rhonda, Thanks for those many good tips! Charlie, If Mary does have chives, you’re right, they are tough to get rid of. Cutting those pretty flowers at this time of year is definitely the way to control them. Thanks! There actually is a plant called ‘wild leek’… allium tricoccum…it normally has a small white flower cluster…[chives will have pink flower clusters]. Wild leeks are also called ‘Ramps’ and are a Spring delicacy to cooks. I have a patch in my woodland border that comes and goes each year. I would recommend that you dig out the bulbous clumps before they flower and set seed in June. Regarding the ‘sticky issue’ you have with your plant. Honeydew can be secreted by scale insects, mealy bugs and aphids. I have experienced scale and mealy bug at the same time on schefflera. You could try using one of the newer products containing neem oil. Neem is considered an anti-feedant [meaning the insect forgets to eat], after coming in contact with oil. Neem is also a fungicide [sometimes you will find black mold growing in the insects’ honeydew – Neem will address this]. Neem oil is also a systemic product, meaning it works from the inside out of the plant. One commercial product from The Safer Soap company is called ‘BioNeem’. Good luck! Hello, Kristteen. Oh My – ‘easy to grow…fast spreading…sunny area’ could be a recipe for a hard to control invasive problem if you are not careful with your choice. Variegated Hakone grass/Japanese Forest Grass comes to mind…it will grow in full sun and ‘cover the ground. Also, Euonymus fortunei and creeping junipers would work. For spots of seasonal color, consider planting spring flowering bulbs amongst the ground cover. I had heard that the peony needs ants to help open the buds. I’ve also heard that to avoid bringing the ants into the house, peonies should be cut in the morning before the ants become active again. David, thanks for all the great advice. I especially appreciate your advice for Mary and the wild leeks. They sound delicious. And when it comes to ground cover, you make a good point that even if Kristeen has a large area to cover, she’s not limited to just one plant. Carol, I never thought of cutting peonies in the morning to reduce the number of ants that you’re starting with. Thanks for sharing. Connie, Sweet potato vine is not perennial but it grows so fast and will fill in a large area. You can even increase the number of plants by rooting cuttings right in the ground. Kristeen could plant perennial ground covers and while they are taking hold add some sweet potato vine to fill in the spaces. Linda, that’s a good idea. Thanks for explaining. 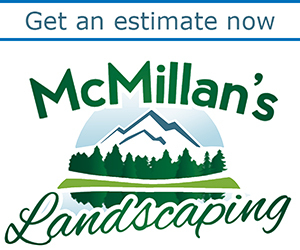 If you need groundcover for a large area, you could use a mix of fast-growing and slow-growing. You could also use a mix of annual and perennial. Forget-me-nots and sweet potato vine and ajuga and sedum and creeping juniper and so many others could be a lovely part of that mix. All great ideas. In reference to unwanted members of the onion family, try a spectricide if you are not organic. It’s the only thing I have found that kills my nemisis: Horsetail! Thanks for that tip. For those who don’t know, Spectracide is a brand of weed killer. Spectracide is a brand name that includes several different pesticides. I remember ‘horsetail’ well. It is a nemesis for many growers. I had a client whose gardens were loaded with it. The only thing I found that eradicated it that a regular consumer could purchase was ‘Finale’ by Agro. But Finale would kill anything that came in contact with it. I don’t think it’s available any more. Roundup would not touch it. Wow, I’m glad I don’t have horsetail. Is Spectracide a pesticide or herbacide? Does it kill bugs or weeds? Hi Connie; it’s a brand name so it carries insecticides, herbicides etc. I have the insecticide that I use for treating my lawn and for ants. wild ramps go for around $12- $18 a lb here in Pittsburgh. could be you next cash crop and not a pest.